A native of Colombia and raised in Miami Beach, Astrid’s journey of living closer to the earth, began at the ripe age of thirteen. Realizing people’s disconnection with the natural world, she became active in educating and inspiring people to live more harmonious lives. After being formally trained as an interior designer at the Fashion Institute of Technology in New York City, Astrid moved to California to connect deeper with the land. She incorporated her studies as a designer with her environmental sensibilities beginning her career as an ecological interior designer. She expanded her knowledge and acquired a Certificate in Green Building and Permaculture, as well as becoming LEED accredited. While working in the design field she saw the need for more sustainable practices, and launched her firm Astrid Design Studio. In 2009 she moved to the agricultural institute of Solstice Grove located in west Marin county, California, where she deepened her connection with the natural world and had the delight of meeting her fiancé Matthew. Astrid looks forward to continuing her path of educating others to create harmonious living environments by empowering them to grow food and save seeds! Matthew was raised in the wilds of the great northern forest named Chequamegon, in Wisconsin. He lived close to the land and enjoyed many days in the gardens of his grandparents, parents, aunts and uncles. He also found great interest in the artistic world. Formally trained as an artist, he uses his skills to bring people closer to the natural world and also towards a more peaceful existence on the planet. Most known for his work in the global peace movement with Dr. Jane Goodall DBE, UN Messenger of Peace. The two teamed up to create the Giant Peace Dove puppet movement, which has touched hundreds of thousands of people in over 80 countries around the world. 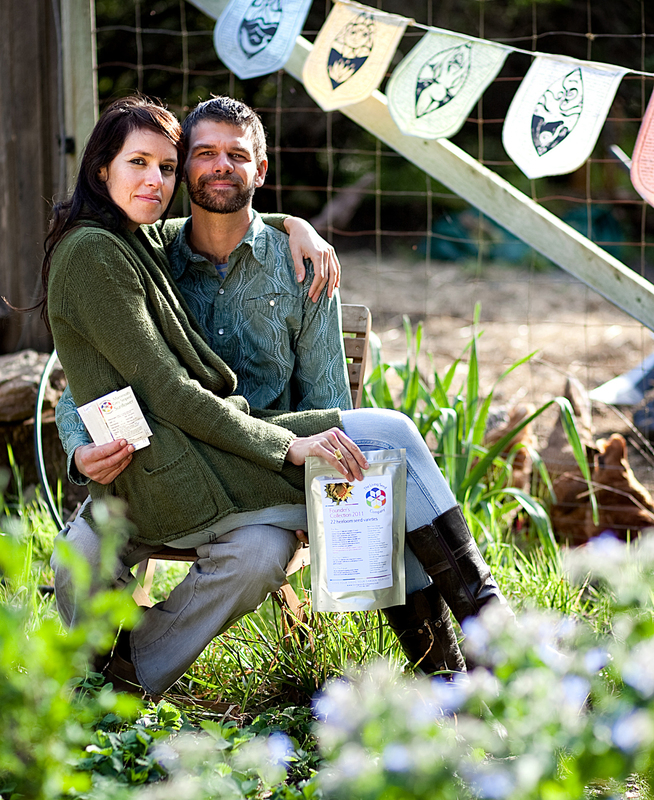 In the spirit of planting seeds of peace, joy, beauty and food for this world, he and his fiancé Astrid decided to create the Living Seed Company. They believe the power of people growing food together and saving their own seeds is one of the best ways to achieve both inner harmony and global prosperity.